Der Slash 4x4 ist sicher das nächste Highlight auf der Rennstrecke. Voll einstellbar und mit ultra-präziser Lenkung bietet er genau da, was der Racer erwartet - Spaß und Performance ohne Ende. 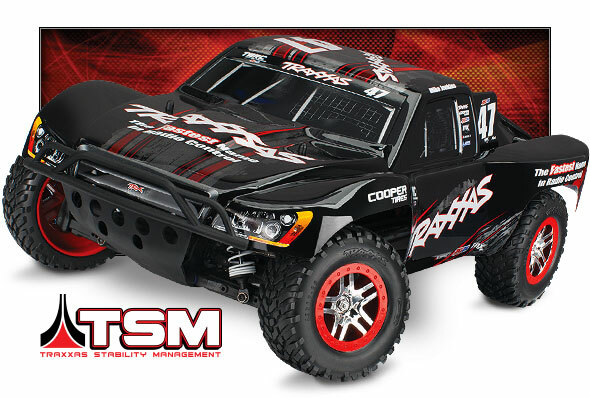 Traxxas Slash 4X4 equipped with the world's most advanced Ready-To-Race® radio system. 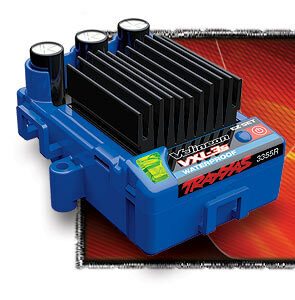 The all-new Traxxas® TQi™ arrives with a full complement of tuning features and offers the unbeatable convenience of "no channels, no crystals" 2.4GHz technology—but that's just the beginning. Automatic model recognition instantly recalls your settings for up to 30 Traxxas Link-enabled models. Just switch on and drive, no naming or "model memory" settings required. 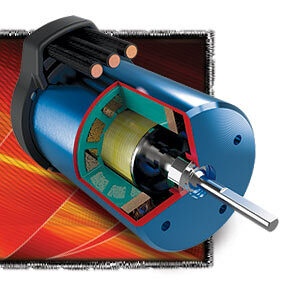 Power up the transmitter and the model you want to drive, and the settings for that model are dialed in immediately! 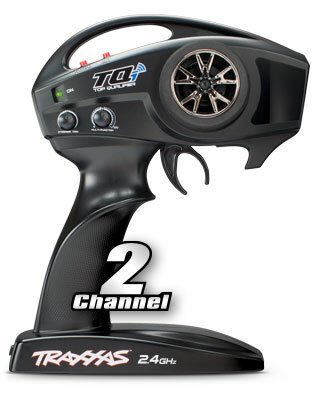 The new TQi 2.4GHz transmitter is fully adjustable: steering and throttle end points can be set precisely and the Multi-Function knob can be programmed to control Traxxas Stability Management (TSM), Steering Sensitivity (Expo), Throttle Sensitivity (Expo), Steering Percentage (Dual Rate), Braking Percentage (Dual Rate), or Throttle Trim. TQi's ergonomic case design provides all-day driving comfort, and the unique internal antenna contributes to its sleek, modern look.